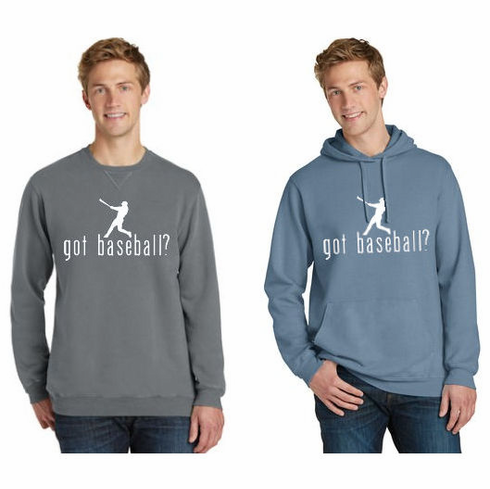 These baseball sweatshirts have the got baseball? batter logo screened on the chest. With aged-to-perfection colors, these soft, comfortable sweatshirts are essential and authentic. The pigment-dying process infuses each garment with unique character. Please allow for slight color variation. 8-ounce, 80/20 ring spun cotton/poly fleece blend.